Understand these two words and you have understood ALL musculoskeletal pain. Load and Capacity. Before we go any further, it’s important for us to define words so we’re all on the same page. Capacity is the work you’re able to do. 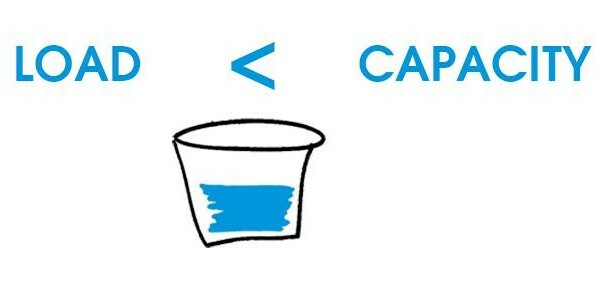 Your capacity is like a bucket. Examples of capacity include: I have the ability to run 5 miles, squat 500 pounds, do 30 leg extensions at 20 pounds of resistance, sit for an hour without pain, or play with my child for three hours without issue. Load: work you do. 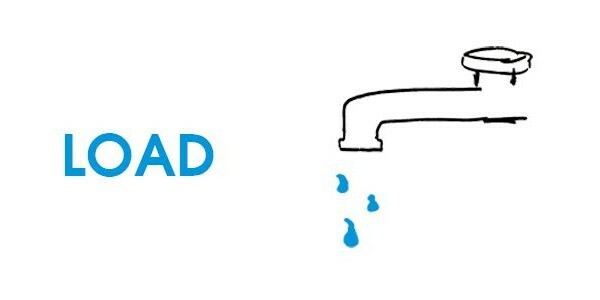 Load is like water that you fill up your bucket with. Examples of load include: The workout I did today included running 1 mile, then squatting for 50 repetitions, and then running a mile. Or the movement activities I did today included sitting for 6 hours today, reading for 2 hours, and walking for 4 hours. As long as you live on Planet Earth, which has a Law of Universal Gravitation and a gravitational constant, you can’t escape loading your body. Although you can minimize load. 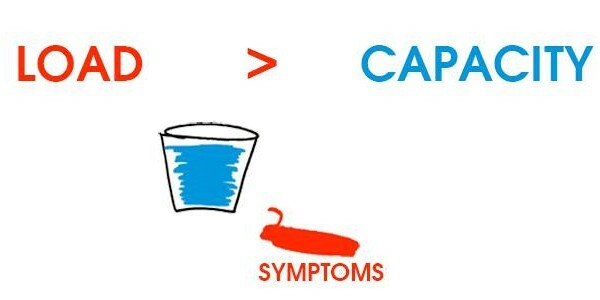 Symptoms: a smart response by the body letting us know when load > capacity. When symptoms are experienced, a body part is being damaged and is trying to protect itself by letting your conscious mind know “Houston, we have a problem.” Turn the faucet off! See the Load > Capacity image below. Symptoms in the context of musculoskeletal disorders include but are not limited to the following sensations: achey, burning, stabbing, throbbing, sharp, tender, or abnormal stretching or tension. When load is LESS than your capacity and all of the water fits inside of your bucket, you are living a lifestyle that is currently congruent with your capacity. You don’t have any musculoskeletal symptoms (pain, abnormal tension during a stretch, or any other sensation of the body). When load EXCEEDS your capacity and water overflows out of your bucket, you are living a lifestyle that is currently more demanding than your capacity will allow. Injury sets in and you have musculoskeletal symptoms. Pain is the signal, letting you know, that you’re overflowing. The simple answer to what is causing your pain is that you overloaded your body. Here you are, reading this. Are you in pain? If yes, where? Do you know what tissue or body part is overloaded? Have you had a correct and comprehensive diagnosis for your symptoms? Have you been ignoring your pain, loading your body by keeping the water faucet on causing further damage to your body? Or have you been smartly listening to your body’s signals and taking action steps towards repairing the damaged tissue? Take Home Message: If you’re in pain, stop the faucet and give your body a chance to heal. Keeping the faucet on and continuing to use damaged tissue will only damage your body worse and make it much harder to recvoer from. If you’re not in pain, ask yourself how you might work on creating a bigger bucket to handle the demands of life should life ever ask more of you. Disrespecting load and capacity will never result in a healthier, fitter body. 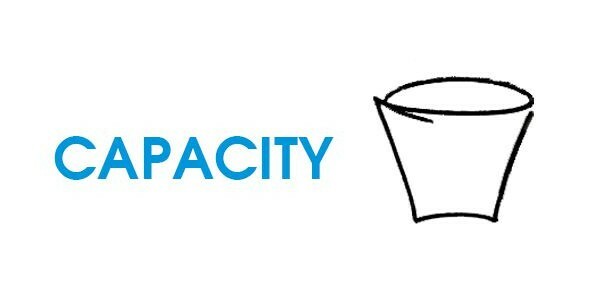 In the next post, we discuss what causes your capacity (or bucket) to be smaller than you want it to be. 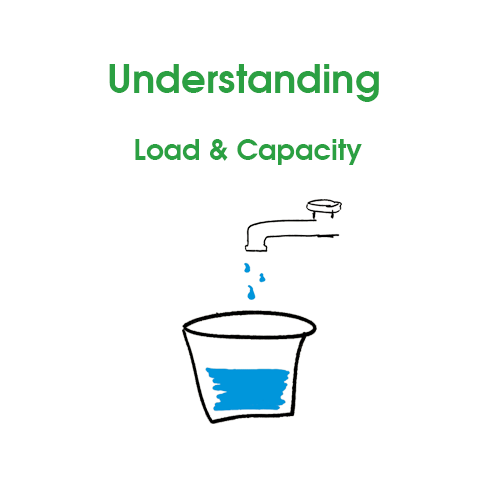 Comment below: How do you break the rules of load and capacity? How long has your body been telling you to listen? Great article with clear examples. Made perfect sense in treatment last week, and easy to explain to others when describing the cause of my knee injury. Nicely done! Greg, thank you for your kind words. The more we are all on the same page, the healthier, fitter, and pain-free we can all become. Your support means a lot!